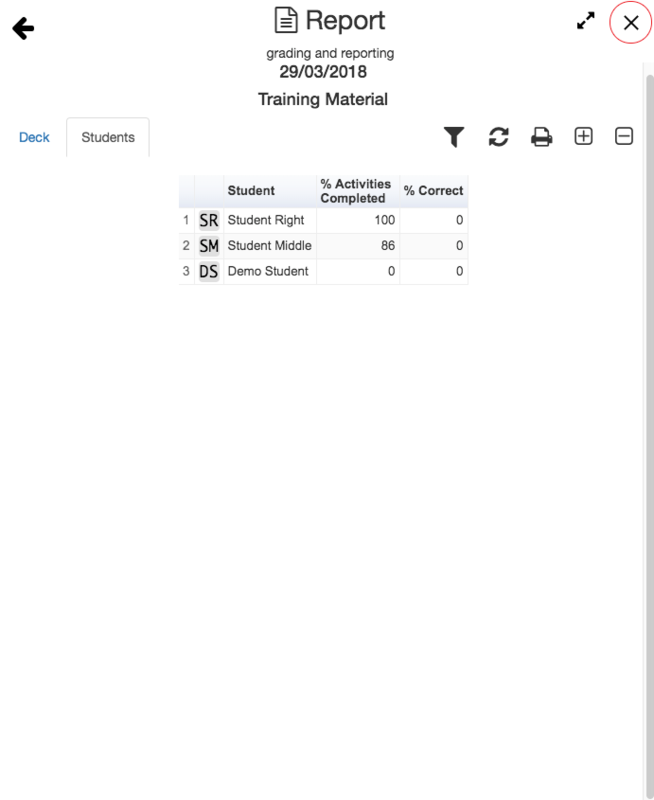 Report app is where you can view and grade all students' responses in a single view. There are several ways you may use to retrieve your Classroom's report. In Teacher's view, click on the red circle icon on the top right side of your screen. Select the Report app under the Tools category. To jump directly to the Report for a specific Activity, click on the drop-down menu next to the Activity. 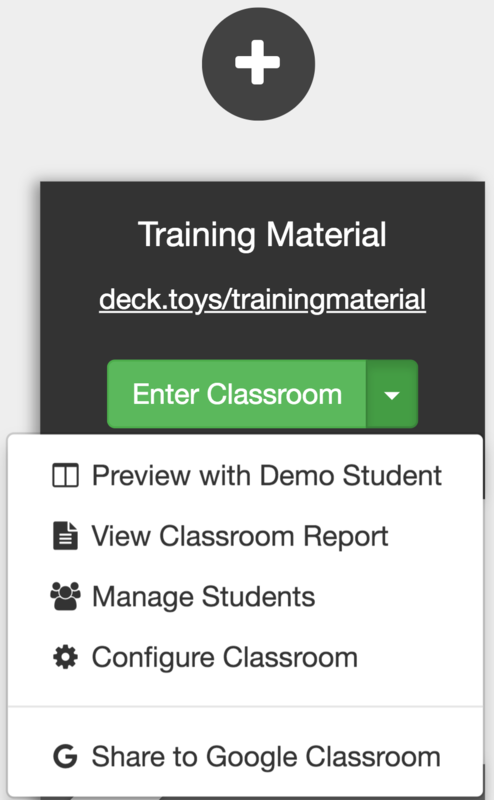 In your ' My Dashboard', click 'Enter Classroom' for the Classroom which you want to retrieve the report. From the drop-down menu, select the 'View Classroom Report'. A student can generate his/ her report and submit it to you, the teacher. In the Student's view, click on the 'Gear' icon to retrieve the individual report. 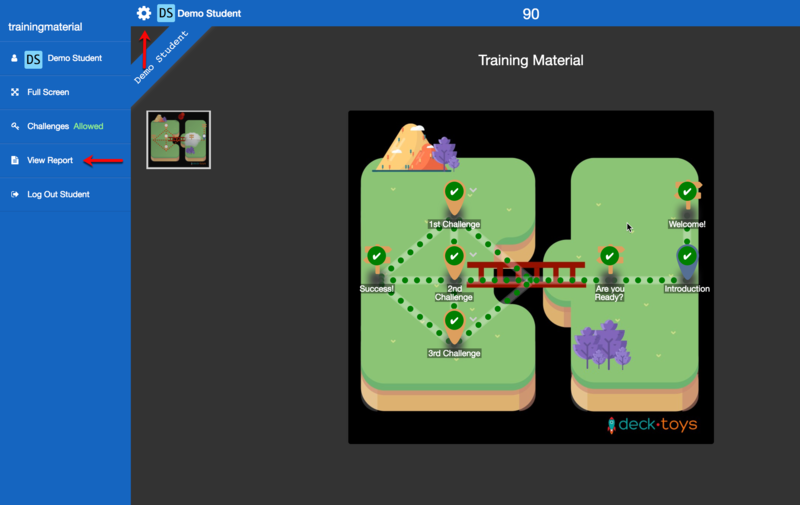 Note: The Report app shows the students' submissions for the current Classroom and assigned Deck. 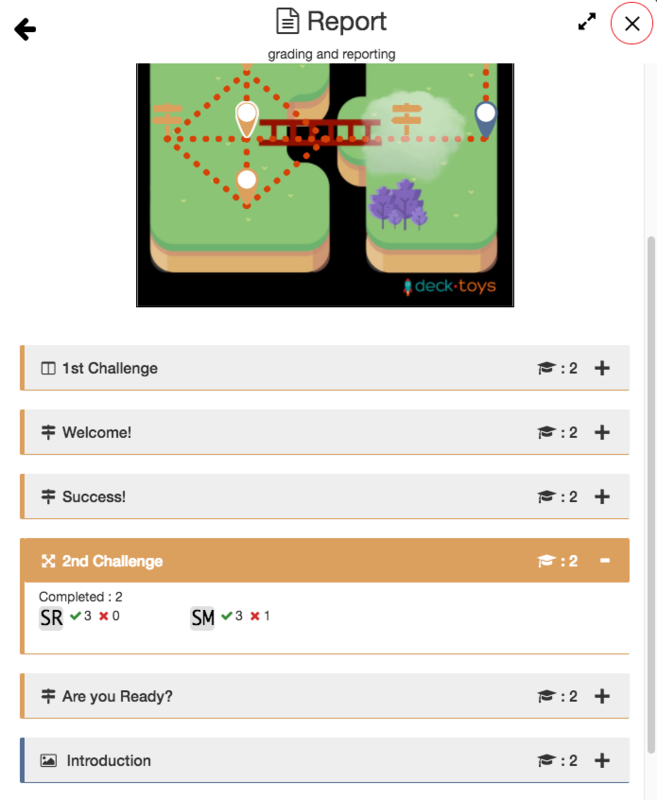 If you would like to generate the report for a previous Deck, select and assign the required Deck to the Classroom first. Use the Report for information such as the number of students that have completed the respective Activity, the score for each student on each Activity, the total score, and percentage of completion for all students. To review the report of a particular student in your Classroom, click on the 'Filter' icon for the selection. Click on the ' Set Filter' once your selection has been made. You will now be able to see how this particular student has performed in each of the given Activity. Click on the 'Print' icon to generate a report in PDF format.